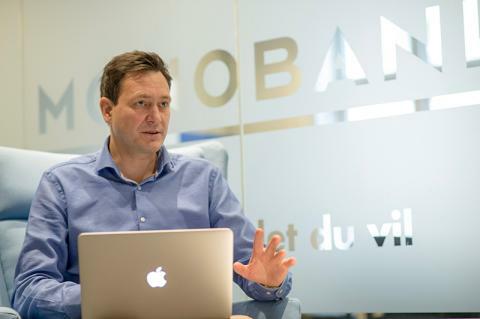 Monobank has successfully completed the development of a multi country platform to facilitate efficient and expedient geographical expansion of its core business. Accordingly, the bank launched loan operations in Finland on 29th May. Second quarter loans and advances to customers increased by NOK 292 million to NOK 1 473 million excluding provision for loan losses and prepaid agency commissions. The credit quality has further improved in line with expectations. With a rapidly growing data base, the tuning of the internally developed credit model continues. An integrated pricing model is now being gradually implemented. The aim is to further optimize credit quality overall and selective pricing among different customer groups. The bank is starting to see the effects of this work. 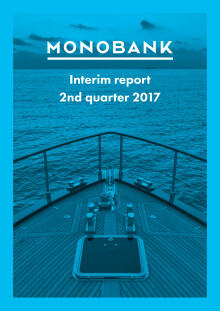 The Board decided on 25th April that Monobank fully satisfies the definition for mass market engagements/commitments as outlined in the Capital Adequacy Regulation § 5 – 8 and accordingly assigned a 75% risk weight when calculating the bank’s capital ratio. 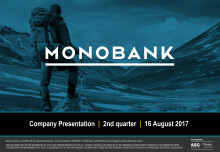 To facilitate Monobank’s continued robust growth, an extraordinary shareholders’ meeting on 13th June authorized the board to raise up NOK 50 million in Hybrid Tier 1 capital and up to NOK 75 million in subordinated Tier 2 capital. Total assets amounted to approximately NOK 1 915 million as of 30th June 2017, up from NOK 1 492 million at the end of the first quarter. The bank’s net loan balance was NOK 1 446 million (NOK 1 162 million) including unspecified loss provisions, but excluding prepaid agency commissions. Of net loans outstanding at 30th June, 37.8 million was extended to Finnish customers. Deposits from customers were NOK 1 556 million (NOK 1 138 million). Monobank’s bank deposits and liquid securities amounted to NOK 377 million. Within policy guidelines, the bank seeks to optimize interest income through diversified placement of liquidity within eligible investment instruments. Total equity was NOK 338 million. For information about regulatory capital ratios, see note 3. Interest income for the second quarter was NOK 43.2 million compared to NOK 34.2 million in the first quarter. Average loan size is stable around NOK 220 000. 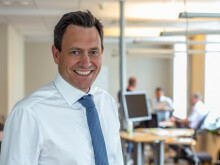 Net interest income was NOK 37.1 million. Operating costs was in line with expectations. Operating profit before impairment provisions was NOK 12.3 million compared to a profit of NOK 7.4 million in the previous quarter. The bank has decided to make NOK 8.3 million in provisions for loan losses for the quarter, up from NOK 4.9 million in the previous quarter. The provision equals 2.5 % annualized of average gross loans outstanding for the quarter, compared to 2.0 % in the previous quarter. The quarterly provision applies the same methodology developed during 2016 and is consistent with the model used to determine the loss provision at year end.